Now, one might quibble with the semantics of 'belonging' by suggesting that the term is ambiguous. After all Kennedy presumably wouldn't say to my wife and me that our assertion that the children in the other room are our children is false. But we surely wouldn't say that they 'belong' to us in the same way our car belongs to us. But let's assume he is right about the legality of the matter. The central problem is that the argument misses the point. Even if the argument is sound, a key premise is that parents have a "principal duty to act in their children’s best interests." However, there appears to be no more clearer interest of the child than preserving his life. 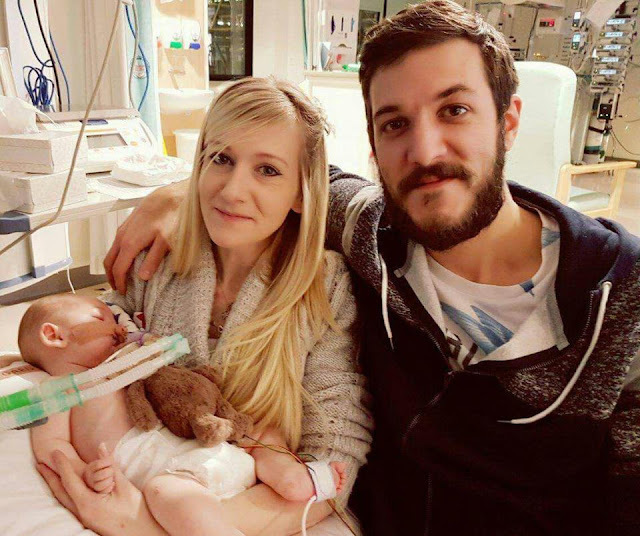 In the case of Charlie Gard, the parents were prevented from carrying out this obligation even though they had obtained independent funds and were willing to make the trip to the States. If the obligation rests on the parents and if what they intend to do clearly falls under the best interests of the child, then they should have been permitted to travel to seek care. What Kennedy must show (but didn't) is that such a course of action is not in the best interests of the child. The analogy with the Aukland case fails on just this point. In the Aukland case, the court interviened to fulfill the obligation that the parents had abandoned. It was the right thing to do for the very same reason that it would have been right to permit the Gard family to travel! Kennedy even accepts the point when he says, "the parents’ views as to their children’s interests should usually be respected." But he then says that they are not the "ultimate arbiters of their children’s interests. If parents, for example, insist on subjecting their child to a particular diet that, in the view of others with acknowledged expertise in the subject, will cause the child harm, we do not stand by. We intervene to safeguard the child." Apart from the alarming idea that a state could tell us what to feed our children, the point Kennedy makes is that when parents fail to meet the obligations of working for the best interests of the child, then intervention may be justified. But isn't the obtaining of treatment to save the life of a child just that - working clearly in best interests of the child. Indeed, it may be argued that in the Gard case, the parents went above and beyond their obligations in seeking care. In which case, they pursued the interests of the child beyond other parents who may have given up earlier. Kennedy tells us that parents are not always the arbiters of the best interests of their children, but he gives no reason to think that the Gards were not pursuing those interests. Thus, his argument fails.